On July 28, 2018, about 1923 central daylight time, an Aeronca 7AC single-engine airplane, N85506, impacted powerlines and terrain while maneuvering at a low altitude near Alexandria, Minnesota. The pilot was fatally injured, and the airplane was substantially damaged. The airplane was registered to a private individual and operated by the private pilot under the provisions of Title 14 Code of Federal Regulations (CFR) Part 91 as a personal flight. Day visual meteorological conditions prevailed at the time of the accident. The local area flight departed Chandler Field Airport (AXN), Alexandria, Minnesota, about 1918. There were multiple witnesses who saw and/or heard the airplane flying at low altitude before the accident. Two witnesses reported that the airplane had approached their cabin on the north shore of Lake Latoka from the northeast and overflew their cabin at treetop level, which they estimated to be about 50 ft above the ground. One witness stated that the airplane had "barely cleared the trees" when the airplane overflew his cabin. The witnesses reported that the airplane then descended below treetop level while flying south over Lake Latoka. The witnesses stated that they observed the airplane complete at least two low passes over a house located at the southwest side of the lake. Another witness, who acknowledged being a friend of the pilot, owned the house located on the southwest side of Lake Latoka. The witness was inside his house eating dinner when he heard an airplane overfly his house. He reported that it was common for the pilot to overfly his house at a low altitude. The witness stated that the airplane's engine sounded normal when it overflew his house. He noted that he had a "very bad feeling" that the airplane had crashed when his house lights flickered shortly after the airplane overflew his house. The accident site was located about a mile north-northwest of his house. Three additional witnesses reported seeing the airplane approach their position, about 1/4 mile northeast of the accident site, at a low altitude and slow airspeed. These witnesses reported that the airplane was flying toward the northwest when it descended behind a small ridge and collided with powerlines. Two of the witnesses reported that they couldn't hear the engine as the airplane approached their position; however, they noted they had music playing at the time. The witnesses reported that they heard an audible "thud" when the airplane impacted the ground. The accident site was located in a grass drainage ditch northwest of the intersection of Townhall Road and 10th Avenue SW. There were multiple powerlines and a fractured power pole strung across the road on a northwest heading. The main wreckage, which consisted of the entire airplane, was found inverted in the drainage ditch facing south. There was no evidence of an inflight or postimpact fire. Flight control cable continuity was established from each flight control surface to its respective cockpit control. Both main landing gear oleo-struts and the propeller exhibited damage consistent with an inflight wire impact. There was no evidence of a wire strike on either wing or the empennage. The recording tachometer indicated 2,665.72 hours. The forward seat throttle was positioned about 3/4 full travel. The airplane was not equipped with a mixture control. The primer control was IN and secured. The magneto switch was on BOTH. The carburetor heat control was OFF. The cabin heat control was OFF. The airplane was not equipped with an electric master switch, but the single 10 ampere circuit breaker was not tripped. The single communication radio was selected to the common traffic advisory frequency (123.0 megahertz). The airplane was not equipped with a transponder. The fuel shutoff valve was ON. Fuel was recovered from the main/header tank and both right and left auxiliary wing tanks. The fuel samples were blue in color and had an odor consistent with 100 low-lead aviation fuel. The fuel caps were installed and secured on all fuel tanks. The fuel selectors for the auxiliary wing tanks were in the OFF position. A functional test of the fuel shutoff valve did not reveal any anomalies and confirmed fuel flow from the main/header tank. The fuselage mounted gascolator had shattered during impact and fuel was observed flowing from the fuel supply line. The postaccident examination did not reveal any anomalies that would have precluded normal airplane operation during the flight. The engine remained attached to the firewall. The propeller remained attached to the propeller flange. One propeller blade was bent aft about midspan and exhibited chordwise scratching and leading-edge gouging that was consistent with an inflight wire strike. The other propeller blade exhibited a slight aft bend, a single leading-edge gouge, and minor chordwise scratching near the blade tip. Internal engine and valve train continuity were confirmed as the propeller was rotated. Compression and suction were noted on all cylinders in conjunction with crankshaft rotation, and acceptable cylinder pressures were measured using a differential pressure gauge. The induction manifold and intake pipes exhibited signatures of normal operation, with no excessive fuel staining observed. The upper spark plugs were removed and exhibited features consistent with normal engine operation. A borescope inspection of each cylinder did not reveal any anomalies with the cylinders, pistons, valves, valve seats, or lower spark plugs. The right magneto attached to its installation point and provided spark on all posts while the crankshaft was rotated. The left magneto remained attached to the engine; however, the impulse coupling did not function as the crankshaft was rotated. The left magneto was removed and provided a spark on all posts when rotated by hand. Right magneto-to-engine timing was confirmed to be at top-dead-center on the number 1 cylinder. A full teardown of the engine did not reveal any internal component failures. Adequate lubrication oil was observed throughout the engine and there was no evidence of oil starvation or excessive heat. No metal material was observed after a magnet was passed through the engine sump. The oil filter tube pickup and oil filter screen were free of metallic material. Throttle control cable continuity was confirmed from the cockpit to the carburetor throttle arm. The carburetor mixture arm was safety-wired in the full rich position. The carburetor bowl contained about 1/2 fluid ounce of fuel; however, the airplane had been inverted for nearly 24 hours before being recovered. The carburetor bowl did not contain evidence of water or particulate contamination. Disassembly of the carburetor did not reveal any anomalies with the single-piece venturi, metal floats, or needle valve. The postaccident examination did not reveal any anomalies that would have precluded normal engine operation during the flight. According to FAA records, the 64-year-old pilot held a private pilot certificate with single-engine land airplane, single-engine sea airplane, and instrument airplane ratings. His most recent FAA third-class medical certificate was issued on October 28, 2016, with a limitation for corrective lenses. A search of FAA records showed no previous accidents, incidents, or enforcement proceedings. A pilot logbook was not recovered during the on-scene investigation. The 1946-model-year airplane, serial number 7AC-4246, was a high-wing monoplane of fabric-covered steel tube and wood construction. The airplane was powered by a 90-horsepower, 4-cylinder, Continental C90-8F reciprocating engine, serial number 47229-9-8. The engine provided thrust through a fixed-pitch, two-blade, Sensenich 76AK-2-43 propeller, serial number 23704. The two-seat airplane was equipped with a fixed conventional landing gear. 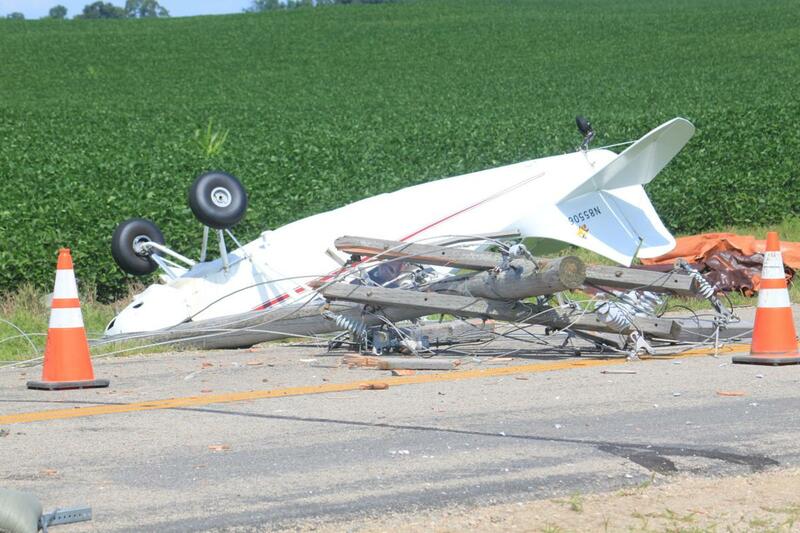 The airplane had a maximum allowable takeoff weight of 1,300 pounds. According to maintenance documentation, the last annual inspection was completed on June 28, 2018, at 5,980 total airframe hours. The airplane had accumulated 11.72 hours since the last annual inspection. The airframe had accumulated a total service time of 5,991.72 hours when the accident occurred. The engine had accumulated 791.72 hours since being overhauled on January 17, 1978. A postaccident review of the maintenance records found no history of unresolved airworthiness issues. A postaccident review of available meteorological data established that day visual meteorological conditions prevailed at the accident site. The nearest aviation weather reporting station was located at Chandler Field Airport (AXN) about 3 miles southeast of the accident site. At 1853, about 30 minutes before the accident, the AXN automated surface observing system reported: wind 350° at 4 knots, 10 miles surface visibility, a clear sky, temperature 26°C, dew point 12°C, and an altimeter setting 30.13 inches of mercury. Ken Ryan age 64, of Alexandria, died on Saturday, July 28th, 2018. Memorial service will be held on Saturday, August 4, 2018, 10:00 a.m. at the United Methodist Church in Alexandria. Visitation will be held on Friday, August 3, 2018, 4:00 - 7:00 PM at the Anderson Funeral Home and one hour prior to the service at the church on Saturday. 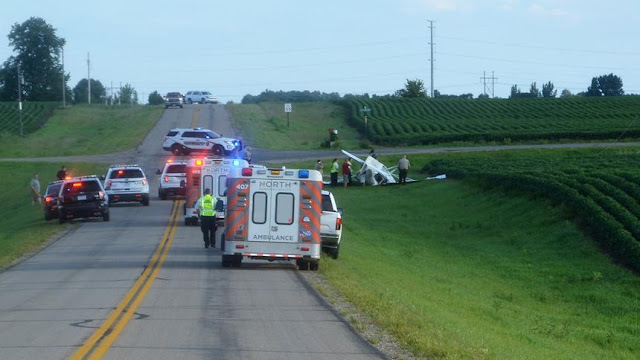 (Alexandria, MN) A pilot is dead following a Saturday evening plane crash near Alexandria. Authorities have now identified the pilot as 64 year old Kenneth James Ryan of Alexandria. Ryan was an instructor at Alexandria Technical and Community College. 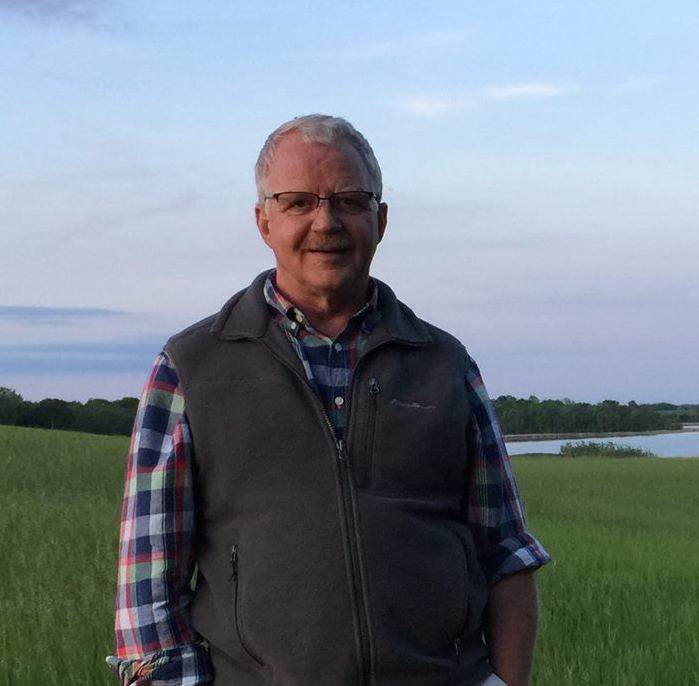 He also served on several committees including the Alexandria Planning Commission and was a member of the Alexandria Municipal Airport Commission. He was also a Computer Repair Technologist in the U.S. Air Force before being honorably discharged in 1976. Ken is a retired Adult and Pediatric Urologic Surgeon as well. The plane appears to have flown into an REA power pole. Ryan was alone in the plane. The aircraft landed on its roof on the west side of Town Hall Road, near the intersection of 10th Avenue SW. Power lines were scattered on the road. Medical personnel arrived on scene and found the sole occupant of the plane to be deceased. Saturday night's plane crash took out power for nearly an hour. Friends gathered at the crash site Sunday morning say Ken was an experienced pilot. FAA records indicate the aircraft was a 1946 fixed wing single-engine plane. The crash took place after 7:00pm, about 24 hours after another plane crashed in the southeast side of Lake Winona. On Friday night, a pilot was doing "touch and goes" from the Alexandria Airport when his plane lost power. That pilot was able to get out of the aircraft and was not injured. Local authorities contacted the Federal Aviation Administration and the National Transportation Safety Board to handle the investigation. 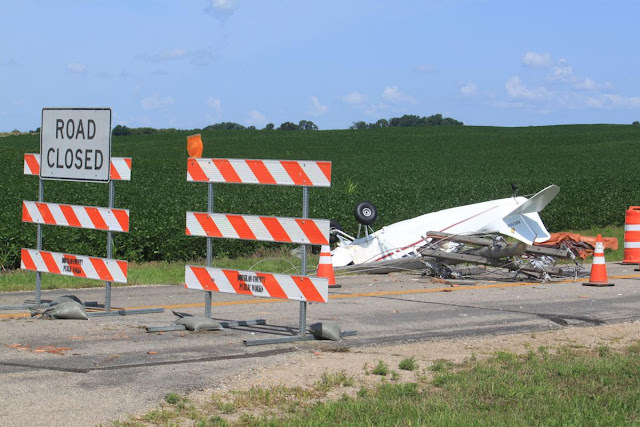 Authorities have released the name of a pilot who died after his airplane sheared off a power pole and crashed west of Alexandria Saturday night. His name is Kenneth James Ryan, 64, of Alexandria. Ryan was an instructor at the Alexandria Technical and Community College, and served on the Alexandria Planning Commission. 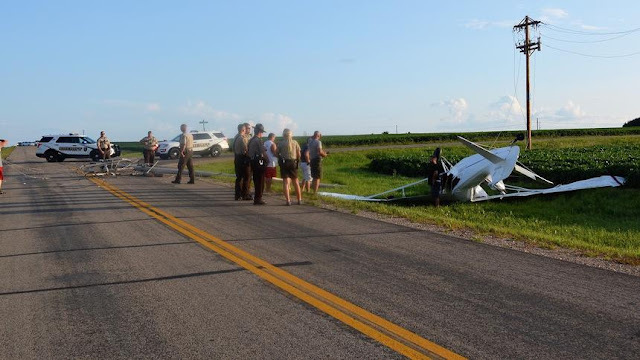 The small aircraft ended up on its roof in a ditch near the intersection of Town Hall Road and 10th Avenue SW in LaGrand Township shortly before 7:30 pm. Three ambulances arrived on scene but left without transporting anyone. 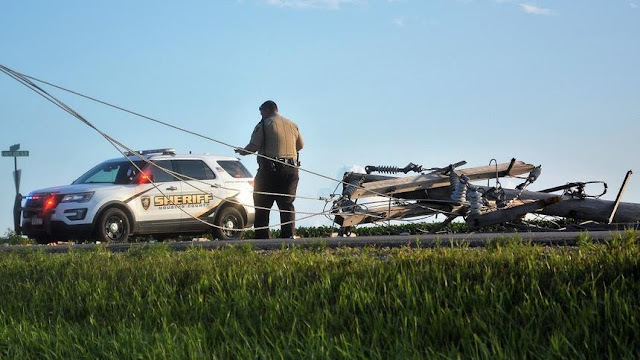 The Douglas County Sheriff's Office confirmed that Ryan, who flying alone, died in the crash. Within minutes of the crash being reported, several other vehicles were parked on Town Hall Road with their lights flashing, including those from the Douglas County Sheriff's Office, the Alexandria Police Department, State Patrol and Alexandria Fire Department. Downed powerlines were also on the road. It was the second airplane crash near Alexandria in two days. 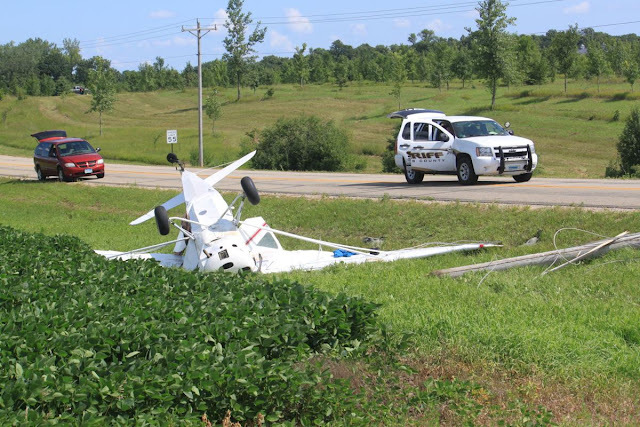 At about 7 p.m. Friday night, a pilot was conducting "touch and goes" from the Alexandria Airport when his single-engine Piper Archer lost power and he crash-landed on the southwest side of Lake Winona, about a mile southeast of Saturday's crash. He was able to get out of the aircraft and was not injured.